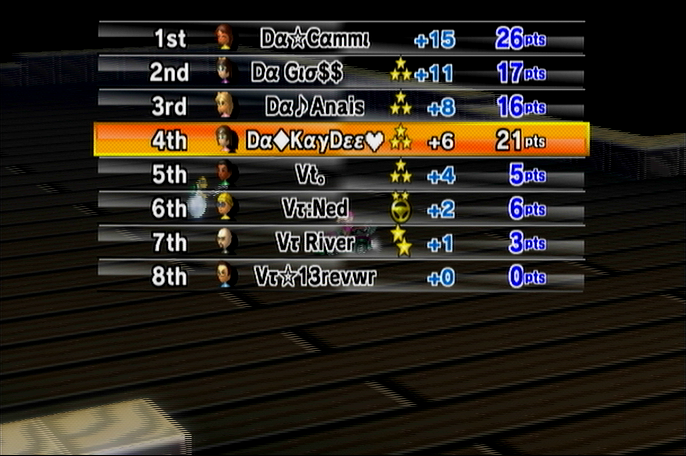 -We top 4'ed GP1, race 3 on SNES Ghost Valley 2 and GP2, race 1 on SNES M a r i o Circuit 3! 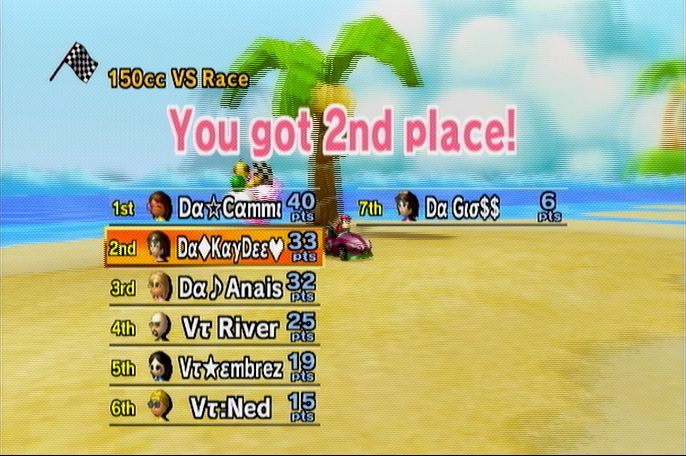 -Ned D/C'ed after race 2 of GP1 (no pic). 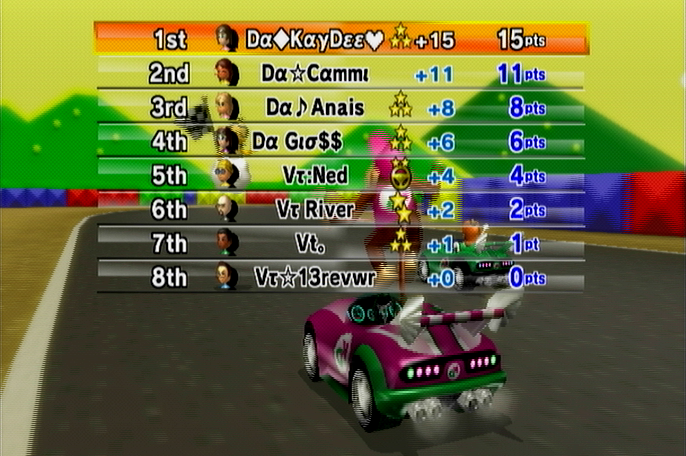 He had 6 and missed 2 races so he gets +4 (+6 x.7705 for 4v4s) and winds up with 10 points for the GP. -Claw D/C'ed within the first 2 races of GP2 with 0 (no pic) so he gets +12 (+15 x.7705 for 4v4s) and winds up with 12 points for the GP. -Ned also D/C'ed within the first 2 races of GP3 with 0 (no pic) so he gets +12 (+15 x.7705 for 4v4s) and winds up with 12 points for the GP. 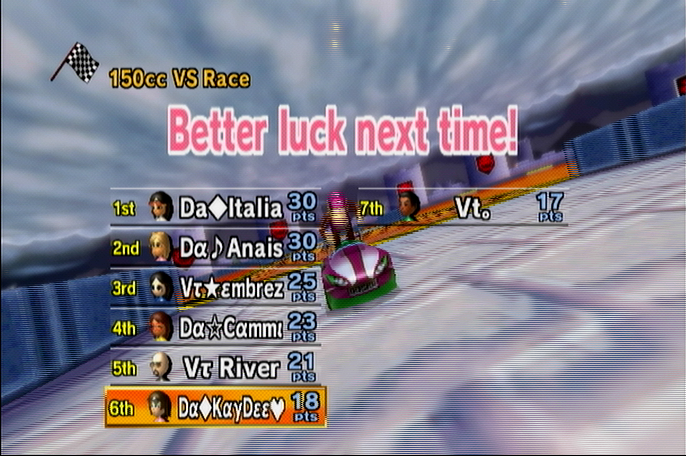 -13Reviewer played during the first 2 races of GP1 then RQ'ed. He scored 0 points so I didn't put him on table. 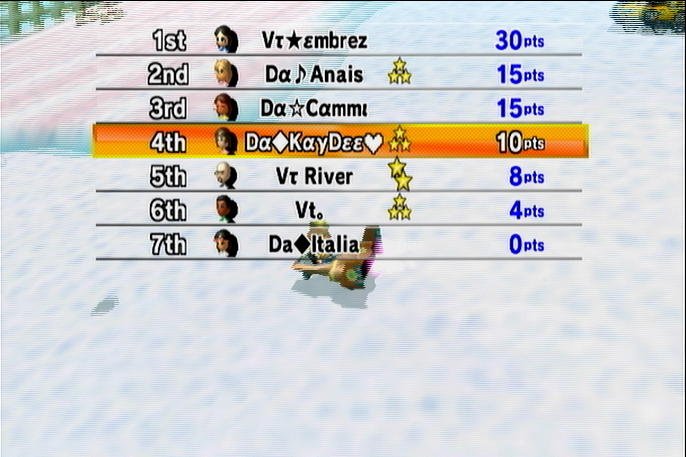 Embrez subbed in after those 2 races and I gave all the points to Embrez since he didn't RQ. -Scarlett subbed Stormina after GP2.